Humans make mistakes. Big mistakes. That said, when it comes to writing a will and preparing an estate plan, it really does come down to creating a perfect set of legal documents that will protect you and your family in the long run. As such, a self-proving will just might be one of the most important documents you have. Simply stated, a self-proving will is simply a will that is created in such a way that allows a probate court to accept it as is, with no concerns about whether or not it’s valid. Some states state a will is self-proving if it’s witnessed by two people and provided they’re willing to testify, under oath, its validity. Provided no one contests the will, it’s accepted as legitimate. That “self-proving” distinction is a must. In most states, anyone who is 18 or older and of sound mind can create a will for himself. It must be memorialized in writing and signed by the one creating the will, the testator. In some instances, the courts will accept a will not signed by the testator, provided it was “in the testator’s conscious presence and at the testator’s direction”. When you create your will, you ensure that your final wishes are carried out. Your will allows you to leave property to individuals or charities, name someone to care for your minor children as well as name someone to oversee any of those assets or property left to your children and name someone to oversee your will in its totality. If you die without a will, you die “intestate”. This means your assets will be distributed based on the state’s laws. In most states, your material possessions will go to your closest relatives. Your spouse and children, of course, are top priority. Depending on your family structure, your siblings, parents and grandchildren stand to inherit part of your estate too. Many clients ask whether or not a lawyer is required for creating a legal last will and testament. The answer to that is no; however, we’ve seen firsthand the repercussions of a will created with online documents that weren’t complete or were deemed unusable. 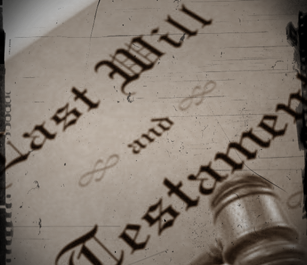 There are many dynamics that go into putting together a will and estate plan. This is one of those times when a small investment will pay off big in the future. Nothing’s more frustrating than learning your efforts were a waste of time – and that often happens. Many do it yourself websites don’t take into account the different laws in each state. Take the leap of faith and allow a qualified estate planning lawyer guide you through a proper plan that can protect you and your loved ones. Of course, these are just a few of the many considerations that go into creating a will. To learn more, contact us today.